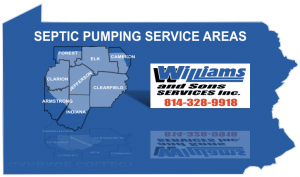 The following is a list of towns, and townships we serve for Septic Pumping. If you are located outside our service area please call or email us for service availability and a quote. We would be happy to help! 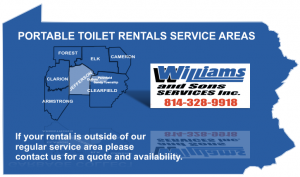 The following is a list of towns and townships we serve for portable sanitation. If you need portable sanitation outside our regular service areas please contact us for a quote.